Low Commission Real Estate is a real estate company in Oakville, Ontario. The Oakville real estate company offers professional, reputable sales representatives, and always a 1% commission fee. They serve Toronto and the surrounding area. Chris Olafson is Low Commission Real Estate's sales representative. 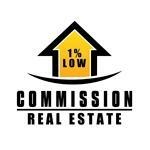 Products Carried: Low Commission Real Estate offers real estate services for a low commission. Located in Oakville, Ontario, Low Commission Real Estate serves Burlington, Oakville, Mississauga, Brampton, Etobicoke, and Milton. A professional and reputable sales representative from Low Commission Real Estate charges a flat 1% fee of on all homes sold. Their goal is to help customers save money when they sell.